We don’t mind riding alone. 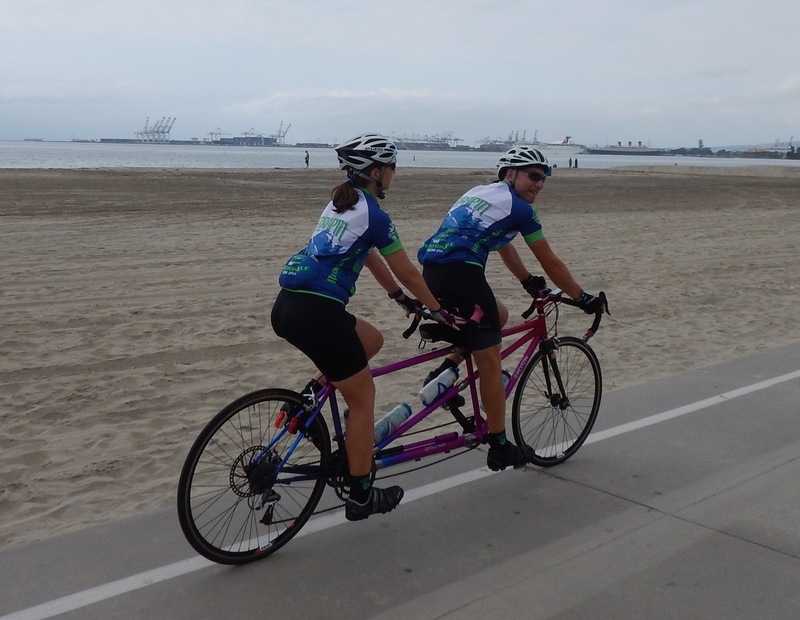 Of course, when you are on tandem, you are never really alone! 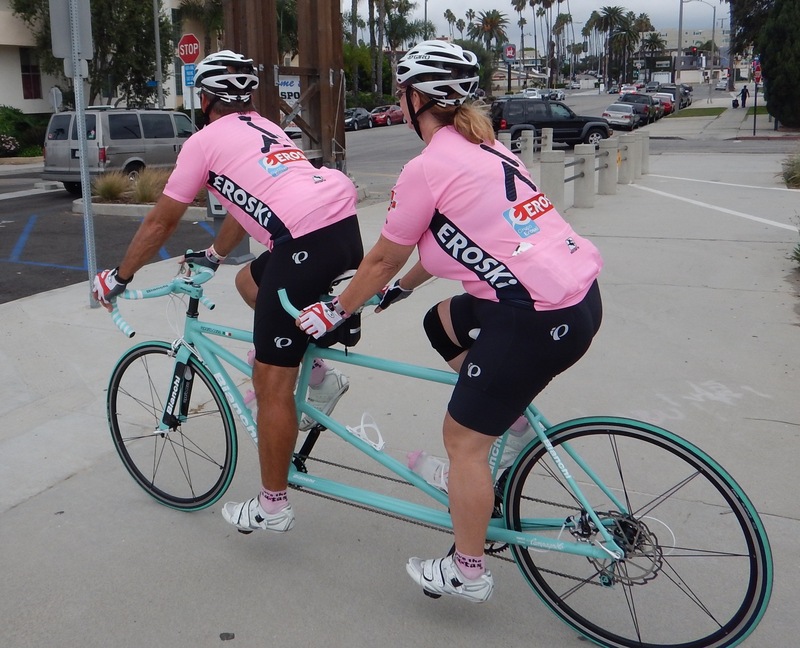 Admittedly, it’s always more fun riding with other tandems, and we were thrilled for the opportunity last Sunday. 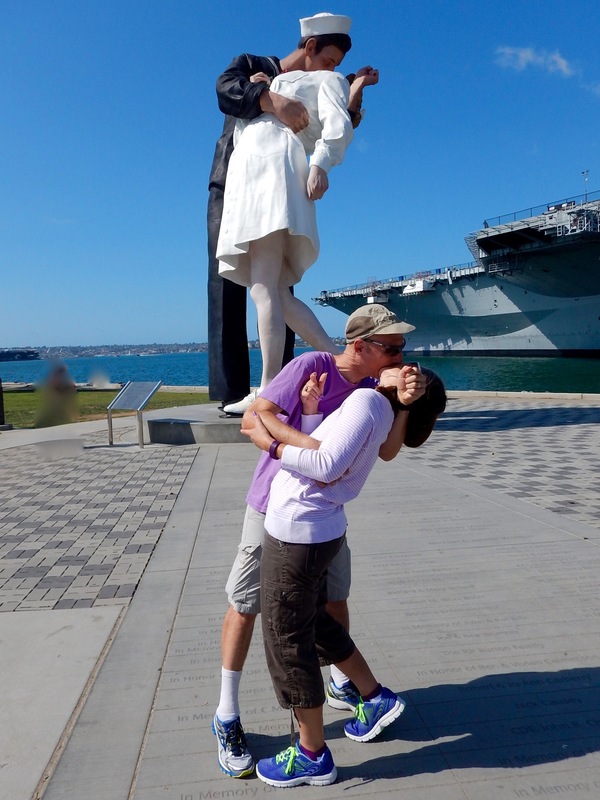 One of our (new for 2015) GTR couples (thanks Don and Teri) hooked us up with their pals here in the OC. 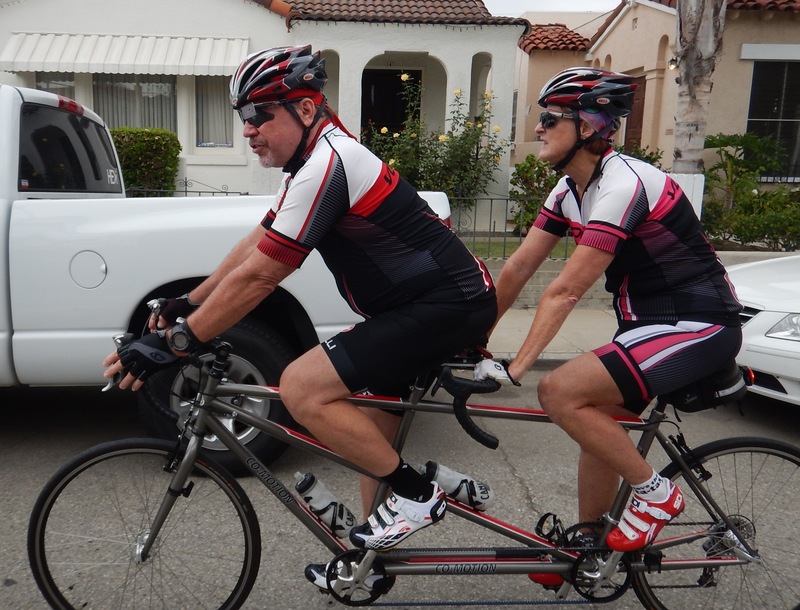 They were kind enough to organize a spur of the moment Southern California Team Tandem Ride for us on 10/18. We had a turnout of 3 and a half bikes. A stoker sickout left us with the half, and in the first few miles of the ride, Jon Gerber realized he wasn’t feeling well enough to continue, so we became three. 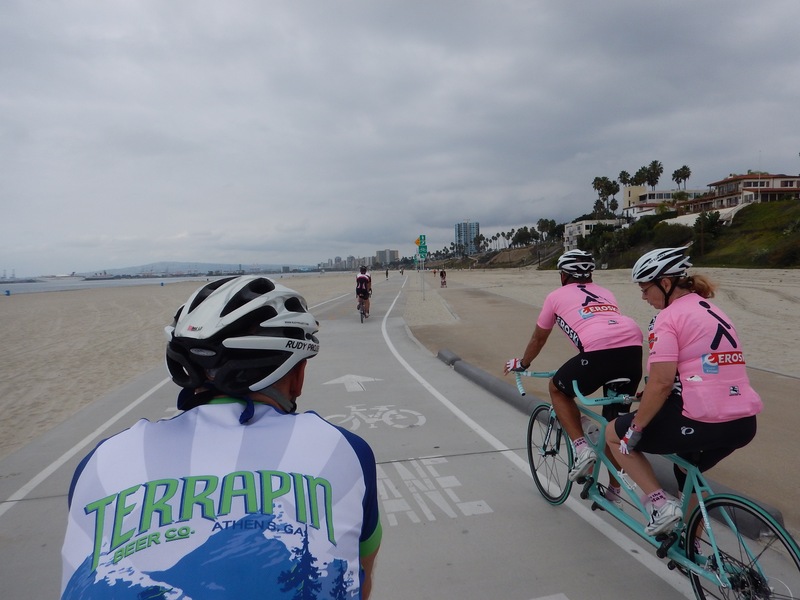 We enjoyed an intimate, fun ride from a park in Newport Beach, north up the coast to Polly’s Pies in Belmont Shores. 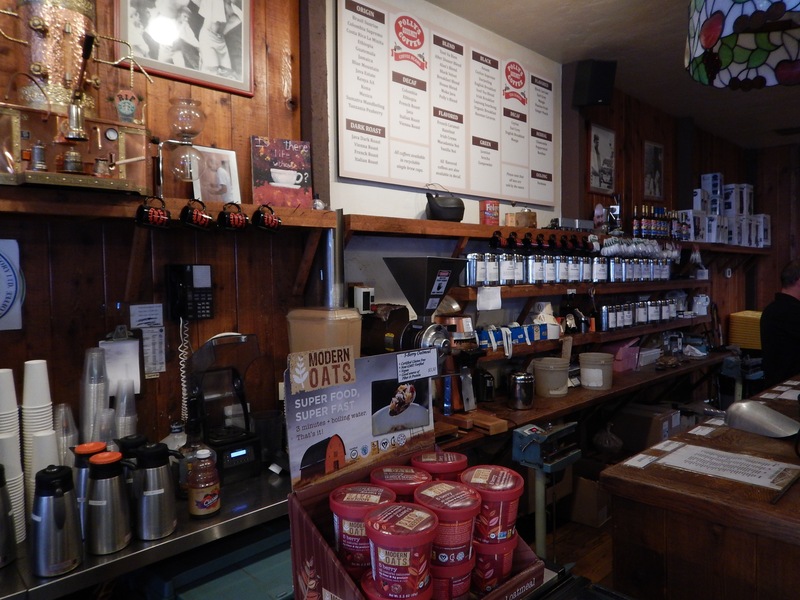 Polly’s is a coffee and tea mecca! 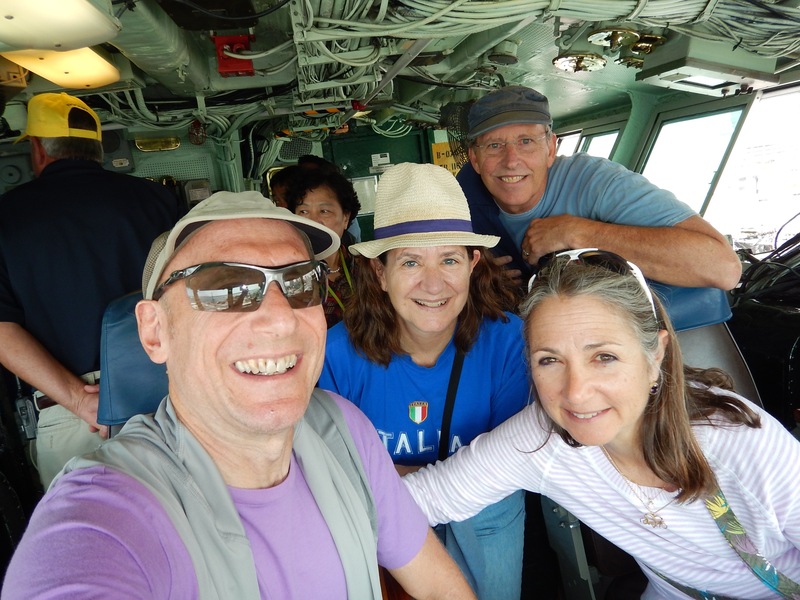 After our rest stop at Polly’s, we took a detour to the beach and rode on the bike path where we got a look at the Queen Mary, the 1936 ocean liner turned hotel. we had the path to ourselves! 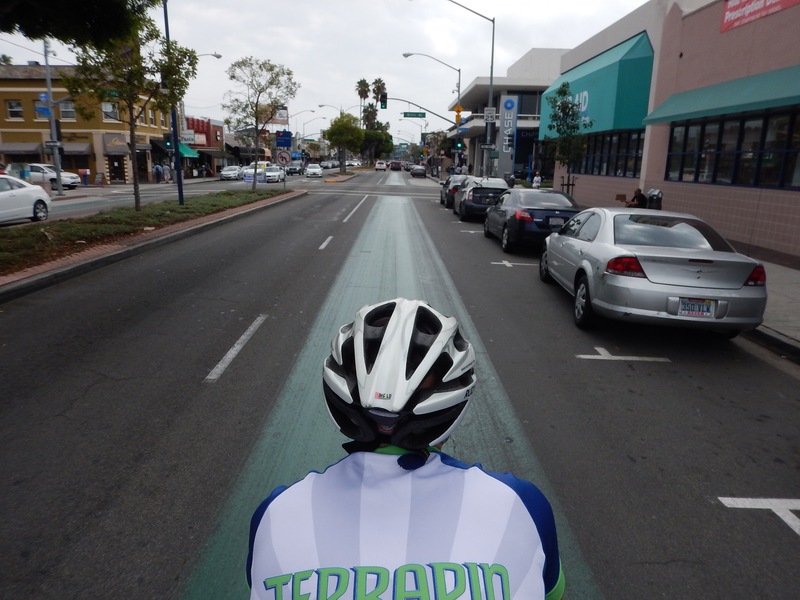 We also had a chance to ride on the ultimate of sharrows, those street markings that tell drivers to share the road with cyclists. 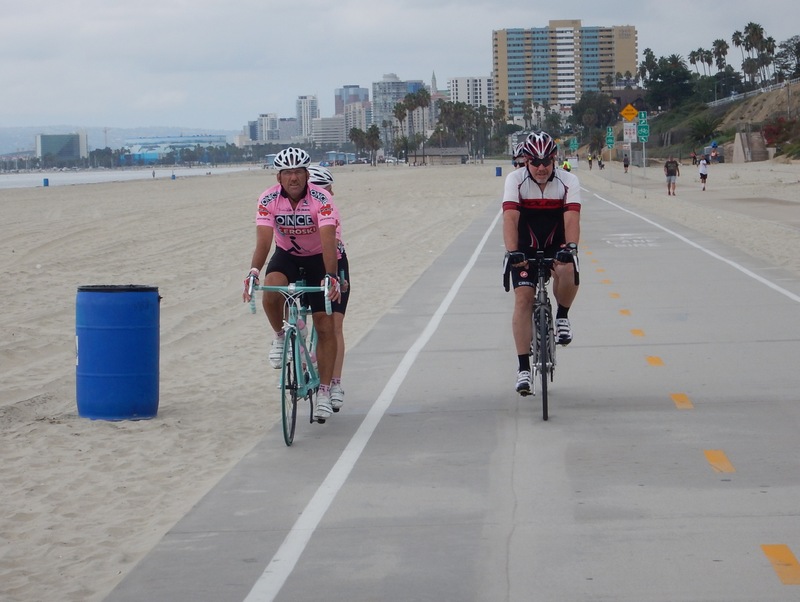 green line is for cyclists! 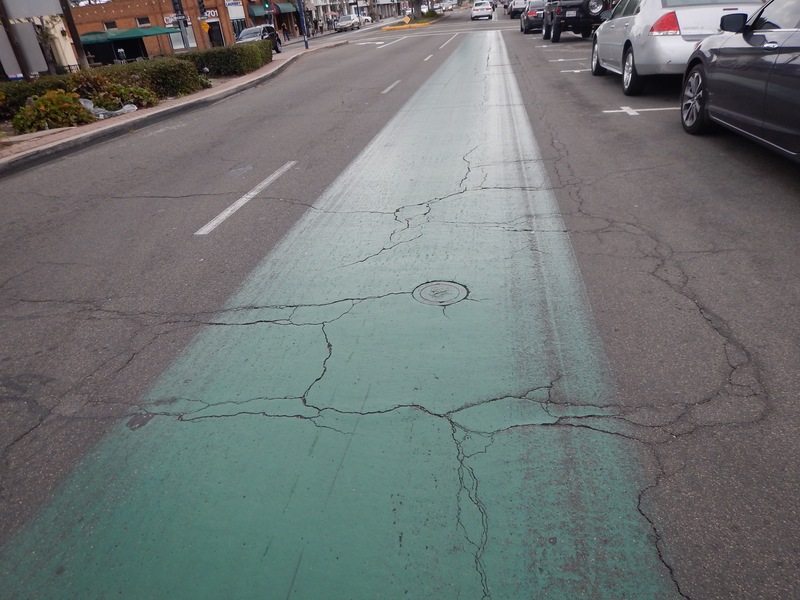 The green line is painted through Belmont Shores so that cyclists can control the entire lane of traffic. 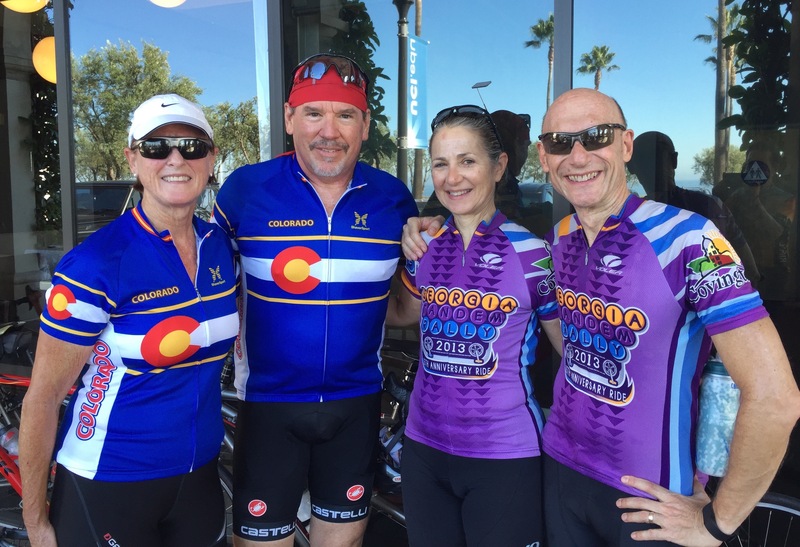 We had a 47-mile blast with new friends and look forward to riding with them in the future. 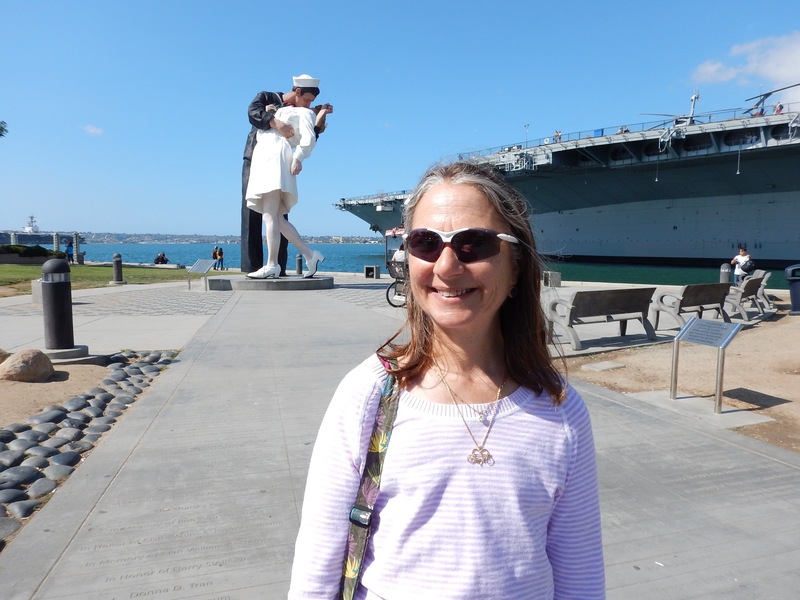 Next up for us, a visit with Nancy and Michael von Neumann. 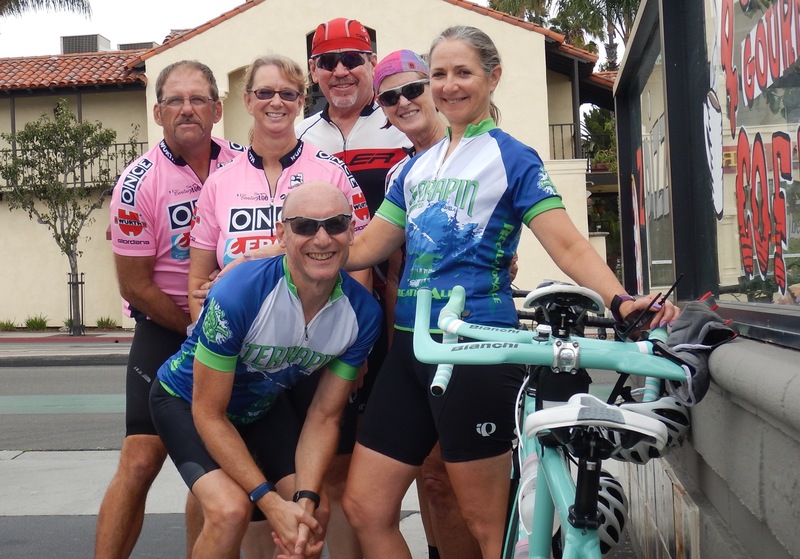 They rode with our PEACHES group out of Atlanta for about 7 years and then retired and returned to their home in Encinitas. 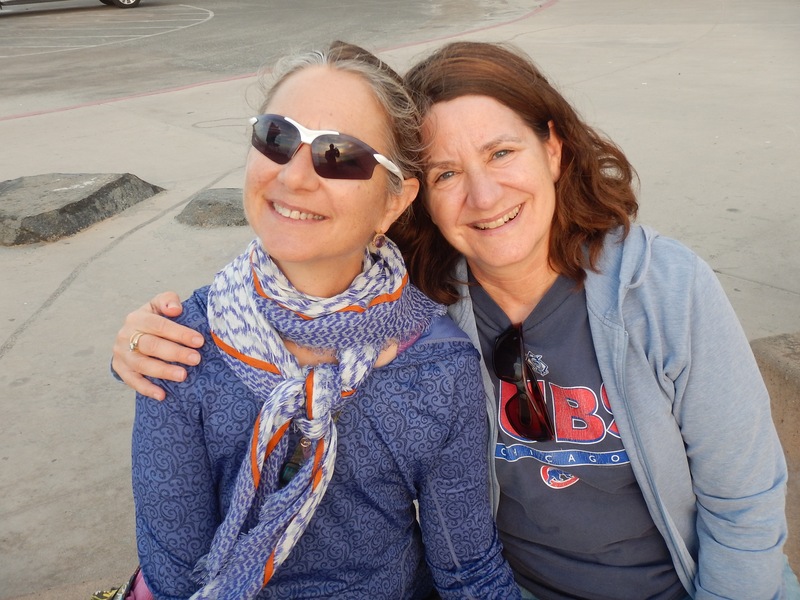 One of the perks of coming to SoCal twice a year is catching up with our good friends the “vons”. 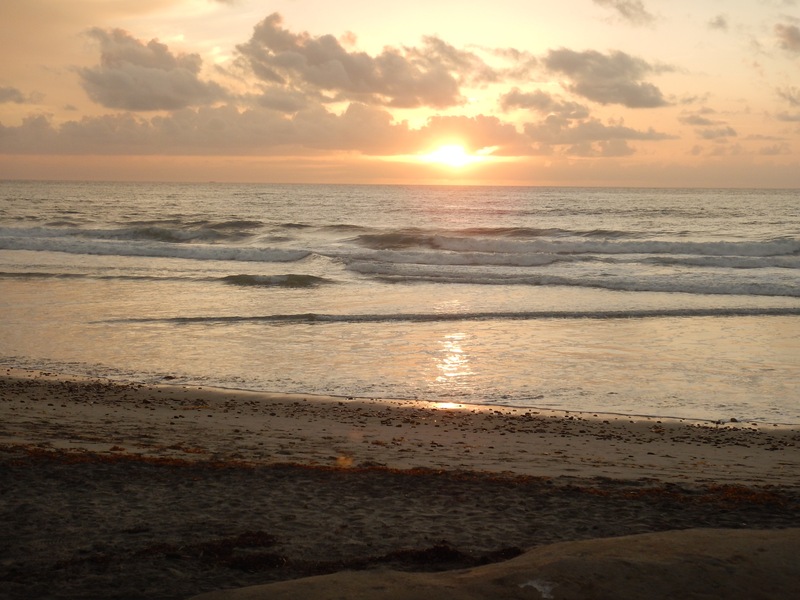 This was a non-riding visit which featured a sunset walk on the beach. 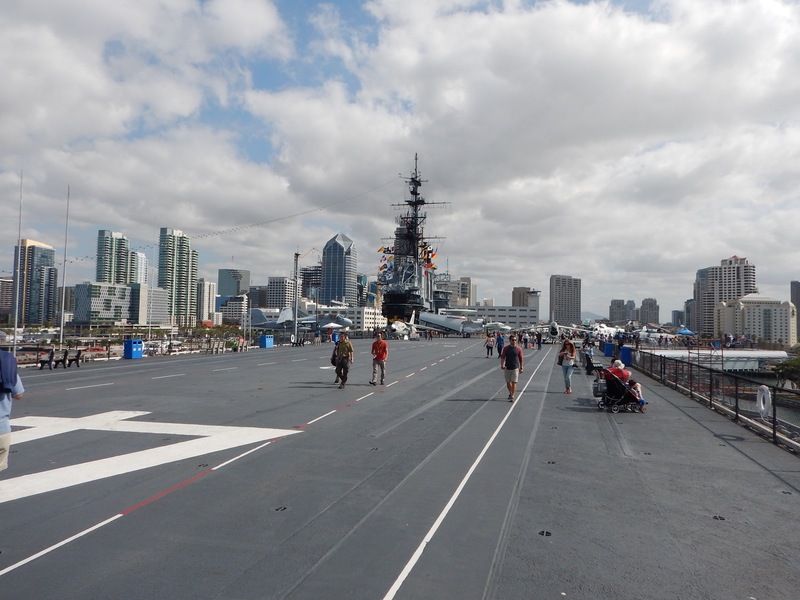 The highlight of our cycling rest day was a visit to the USS Midway museum in San Diego. 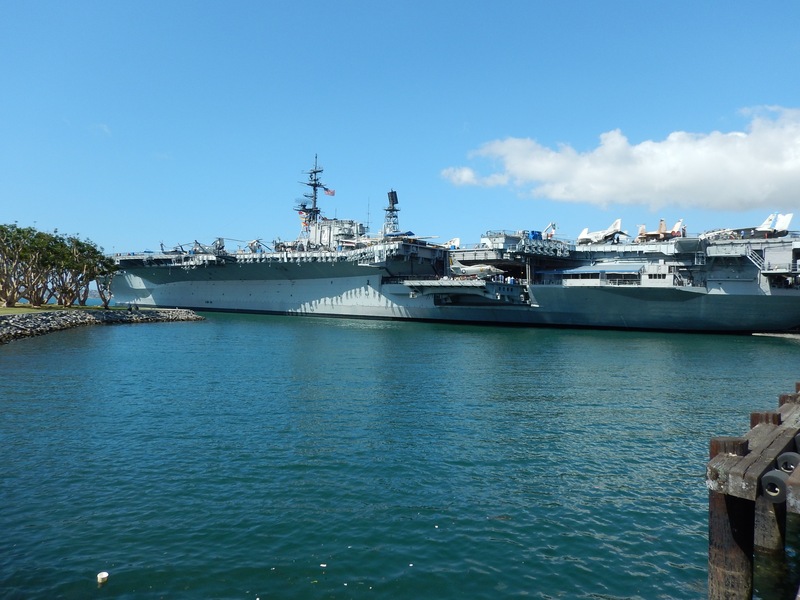 No matter how you put it, aircraft carriers are HUGE, and if you haven’t visited one you cannot really grasp the enormity of this city on water. 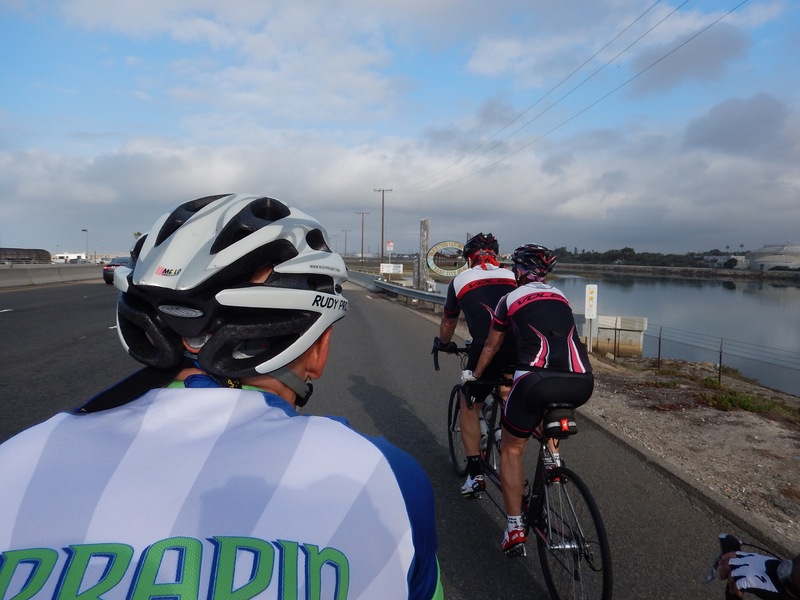 The great news for us was that the weather cooled significantly for our second week of riding in SoCal and we have enjoyed the end of the record breaking temps. 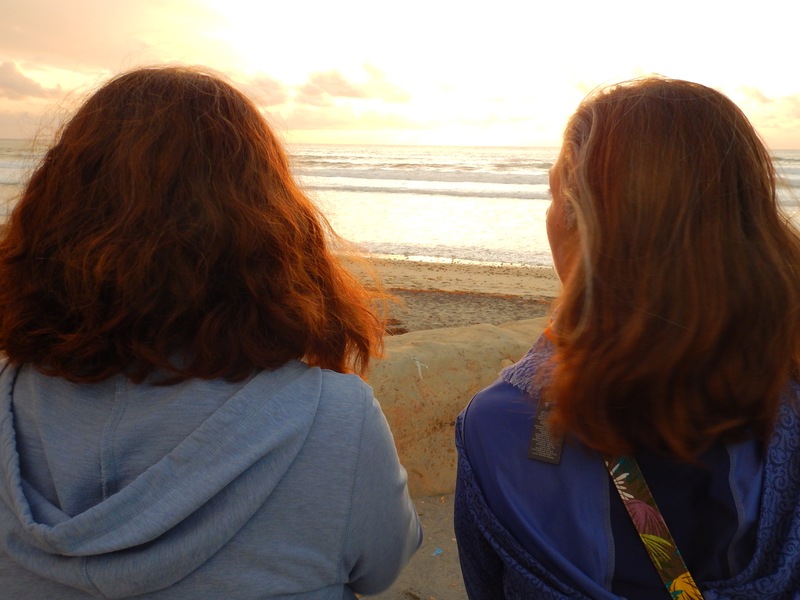 Coming in the third and final installment: More food, and more fun in the sun! 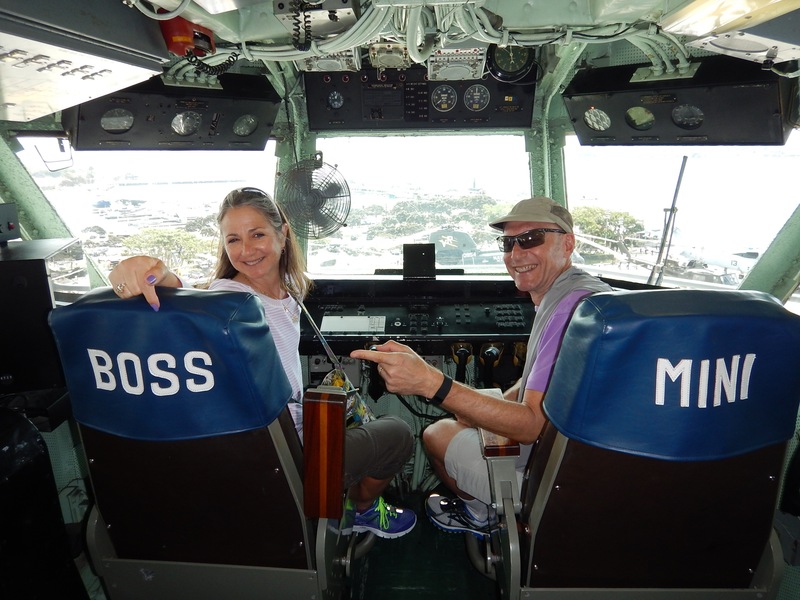 Glad you were able to hook up with John and Melinda and you’re enjoying your time there.